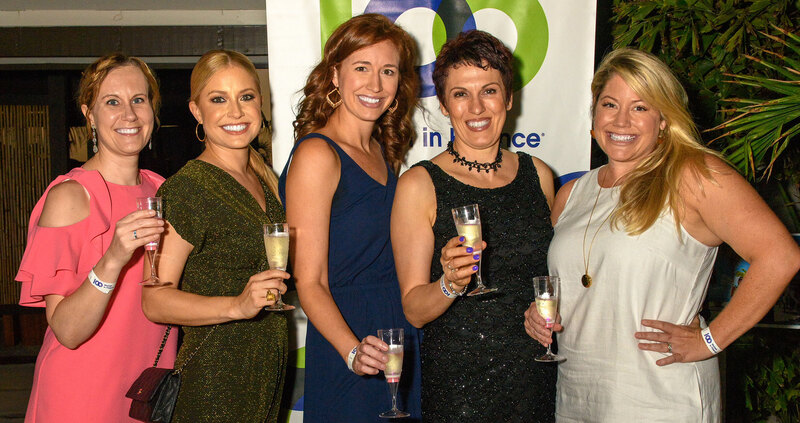 GEORGE TOWN, Grand Cayman – 28 March 2018 – 100 Women in Finance (“100WF”), a leading nonprofit organisation for professionals in the finance and alternative investment industries, raised over US$52,000 at their recently held Barefoot Beach Gala. 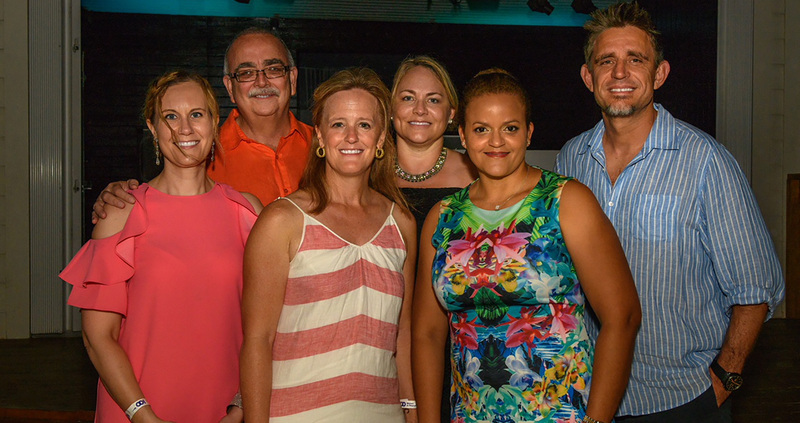 The Special Needs Foundation Cayman (“SNFC”), 100WF’s 2018 Cayman Beneficiary, was the worthy recipient. Established in 2008, SNFC is a local charity that is committed to supporting children with a wide range of needs across the Cayman Islands. Gala attendees celebrated James Bond style and enjoyed dinner and dancing under the starry Caribbean sky at Royal Palms. Party-goers came dressed to impress, channeling their favorite Bond or Bond Girl from an assortment of the popular movies. Many came dressed-to-the-nines in stunning outfits that would have fit right in at Casino Royale and looked right at home raising a toast at the Moet Champagne tower. Lucky raffle package winners went home with prizes including a Havana Getaway, Marriott staycation, a Bond package for the men and a Miss Moneypenny package for the ladies. 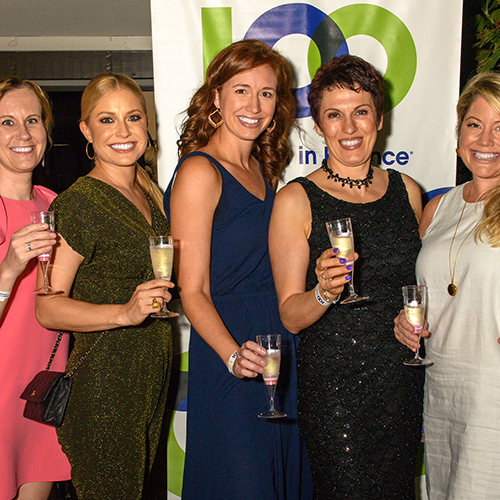 100WF has a strong track record of supporting charities and has raised more than U.S. $44 million (gross) worldwide for philanthropic causes in the areas of women’s and family health, education and mentoring. 100WF Cayman aligns its yearly objectives to 100WF’s global theme, which rotates on an annual basis to ensure the greatest impact for local communities. For 2018, the theme is Education. SNFC is embarking on a pilot program committed to implementation and action, through the development and provision of high quality inclusive learning services. Partnering with the Haring Center from the University of Washington, SNFC is forming an Inclusion Team that will bring direct support to reception classes, both in the public and private system. This pilot program is a 3-year commitment and 100WF is raising funds to help defray the costs of year one of the program. 100WF Cayman is getting excited about its next fundraising event which is its 3rd annual Corporate Mixology Competition which will be held in September 2018. Parties interested in more information on this event can contact the Cayman Philanthropy Committee for more information. 100 Women in Finance (100women.org) is a global network of professionals in the finance and alternative investment industries working together to empower women at every stage of their careers. Through peer engagement, philanthropic, and educational initiatives, our more than 15,000 members are making connections and creating opportunities that help to advance careers and strengthen our field. Established in 2008, SNFC (specialneedsfoundation.ky) is a local charity that is committed to supporting children with a range of special needs across the Cayman Islands. Since its establishment, SNFC has grown to support more than 295 families and provides a range of free support including parent meetings, age related support groups, community education sessions, a dedicated family support worker, respite care, sports and leisure activities and financial assistance.